Believe it or not, when I took this photo with the iPhone of Beatriz del Cid I didn’t know who she was or that she was a popular and sort of famous radio dj in Guatemala City. Neither did I know that she had been one of the major character in the recent film Aquí me quedo; which you can watch here. 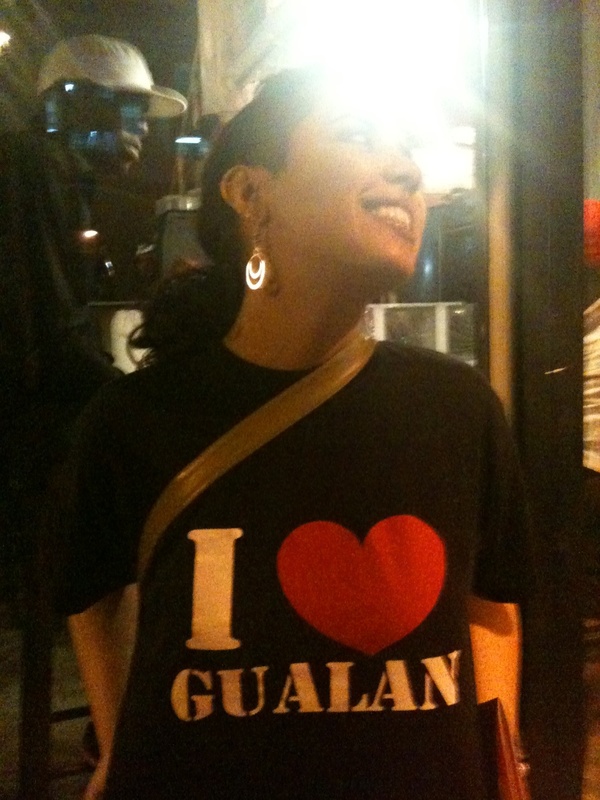 The only reason I decided to take the photo was because I liked the t-shirt with the big I love Gualán, a small town which I don’t think I have ever visited. That’s something I need to fix as well as take better portrait photos of beautiful Beatriz del Cid.